A group of experts brought together to advise on how to manage some of Wales’ most iconic historic sites in the light of climate change is proposing a fresh approach, based on the need to adapt to the new reality. They are seeking feedback and engagement on their plan. The Historic Environment Group is launching a consultation on their new Historic Environment and Climate Change: Sector Adaptation Plan. 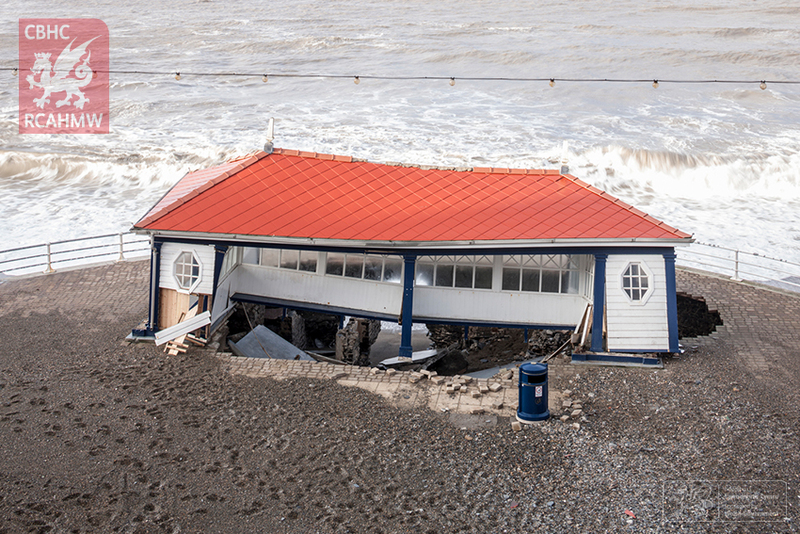 This outlines how the historic environment sector in Wales should address the challenge of climate change. Some of Wales’ most iconic sites are threatened by warmer temperatures, rising sea levels, changing rainfall patterns and more frequent extreme weather events. So those responsible for managing these sites must re-think the way they have done things in the past. There is a need to encourage collaboration and action across all sectors that will improve understanding, build adaptive capacity and increase the resilience of the historic environment. Those are the key conclusions of an expert working group set up to advise the Welsh Government on how to manage sites as diverse as Dinas Dinlle Hillfort near Caernarfon, the Bathrock Shelter in Aberystwyth, and the Waen Fignen Felen Mesolithic site in the Brecon Beacons. 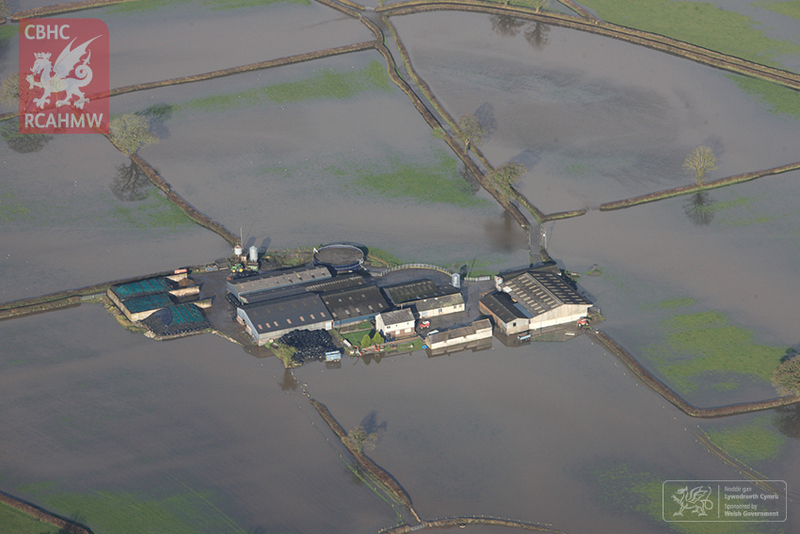 The adaptation plan highlights a number of case studies where this new approach is already being developed. At the Waun y Fignen Felen hunting site in the Brecon Beacons valuable archaeological evidence is being lost due to the drying out of a bog. Here, favourable hydrology is being restored by rewetting the bog to conserve and enhance biodiversity and the archaeological values of the site. 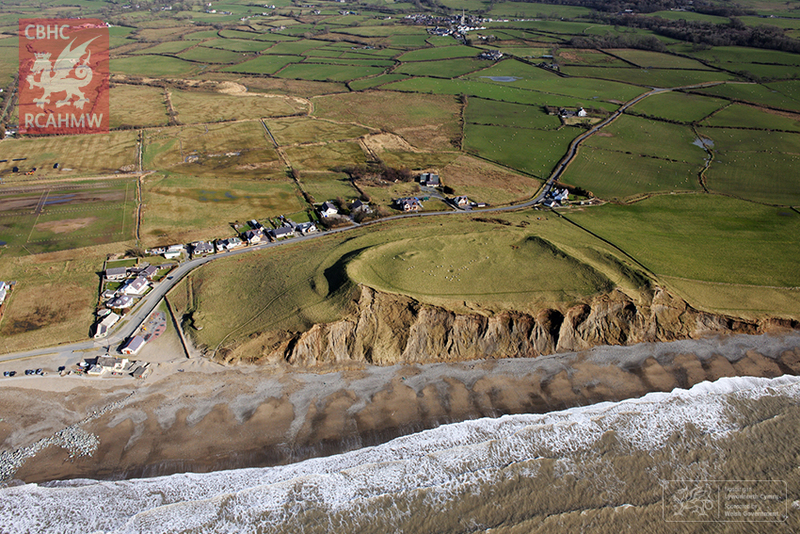 At Dinas Dinlle hillfort, near Caernarfon, the western side of the site is being washed away by the sea. While natural erosion, enhanced by climate change, is accepted as part of the management of the site, public access is causing increased erosion. Here wooden pathways to control erosion, a fence constructed along the edge and other footpath erosion repairs have been undertaken. New research is underway led by a team of archaeologists, surveyors, geographers and scientists from the European-funded CHERISH project. The group are looking for people working within the sector, within other sectors and anyone else who has suggestions, to take part in the consultation. The three pictures accompanying this press release may be used on the condition that the RCAHMW copyright is acknowledged. The Historic Environment Group (HEG) is a high-level body set up in 2004 to advise the Welsh Ministers on strategic issues and priorities which will benefit and promote the historic environment of Wales. The group is a forum for organisations with an interest in the historic environment.